It doesn't matter if it is a short sprint run or a long endurance run, you have to eat right to perform right. Before your run: Short runs only need a little fuel...small banana does the trick. Longer endurance runs need a good balance of carbs and protein. My go to meal before every marathon: I like to eat 2 slices of Ezekiel bread with peanut butter and a small banana, and a cup of coffee, the caffeine helps aide in speed endurance and numbs the muscle pain. Try and eat at lease 1 hour before you run. During a long run (anything over an hour) you need to refuel during your run with carbs: I prefer Huma Chia Energy Gels. You should take in carbs every 45 minutes after you begin your run. Then for recovery you want a good combo of 3:1 Carbs to protein meal. Chocolate milk is a popular recovery drink. I prefer a protein bar or healthy meal. Rehydrate with lots of water. You need your recovery meal within an hour of completing your run so your body can begin the recovery and repair process. Wondering how to stay hydrated AND fuel during endurance activities, I asked Stephanie from SB Nutrition to share a little more information with us! "In terms of fueling for an endurance activity (prolonged activity over 60 minutes), you definitely need some form of carbohydrate to replenish depleting glycogen stores (liver, blood stream and muscle). There are some general rules recommending about 30-60 grams carbohydrates per hour. It really depends on fitness level though for actual amount (i.e. more trained athletes have more metabolically efficient muscles and don't need as much as often)." "Your Huma gels provide 20 grams (same or close to Clif Shot gels) but the source of the carbohydrate is just a mix of fruit sugar (fructose) and cane syrup (maltose, glucose and malitose) vs. more chemically engineered sugars. Bottom line is they both have a mixture of sugars which promotes good absorption and they will both get to the muscles quickly. The chia seeds are a resistant type of starch that looks to help promote better blood sugar stability which is certainly a plus. Both gels give you electrolytes. (sodium and potassium) The gels + water is fine during an endurance event unless you are a very "salty" sweater or the temperatures are really hot. Remember, it is really important to take the gels WITH water for best absorption." I have also been trying out Nuun Hydration and wanted to know what she thought of those too. 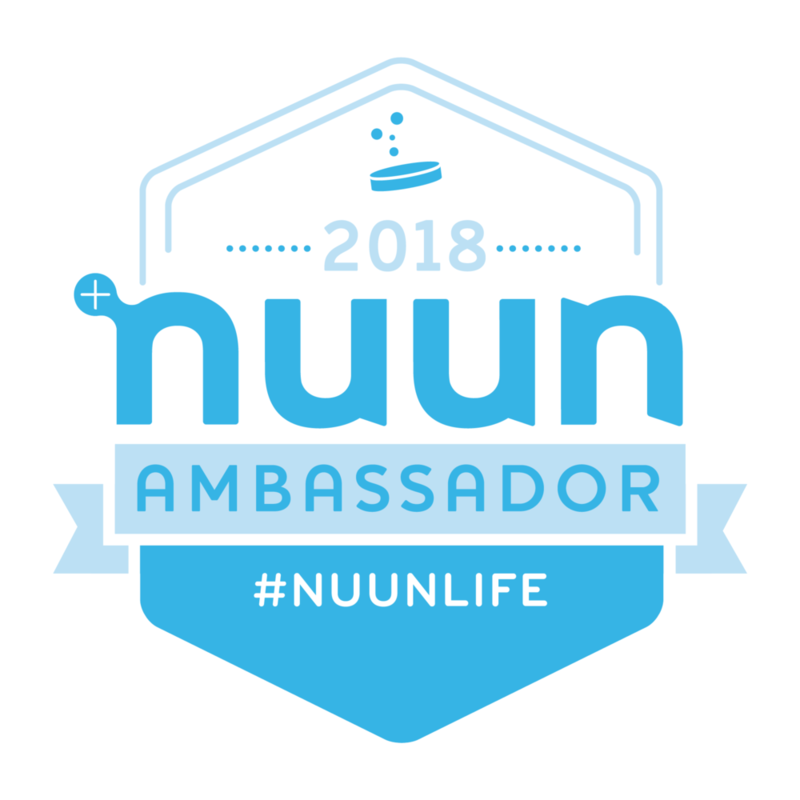 "Nuun provides electrolytes but no carbohydrates so I suggest using it post exercise for hydration (8 ounces for every pound lost while exercising - usually about 16-24 ounces) in addition to a good recovery fuel (3x more carbohydrate than protein - i.e. chocolate milk, bagel with nut butter, etc..)."